The Auschwitz Institute for Peace and Reconciliation (AIPR) marks the annual International Day of the Victims of Enforced Disappearances taking place today, August 30, 2018. The annual observance was adopted by the United Nations General Assembly through Resolution 65/209 in December of 2006. The same resolution provided for the adoption of the International Convention for the Protection of All Persons from Enforced Disappearance. …the arrest, detention, abduction or any other form of deprivation of liberty by agents of the State or by persons or groups of persons acting with the authorization, support or acquiescence of the State, followed by a refusal to acknowledge the deprivation of liberty or by concealment of the fate or whereabouts of the disappeared person, which place such a person outside the protection of the law. Housed under the United Nations Office of the High Commissioner on Human Rights (OHCHR), a body of experts called the Committee on Enforced Disappearances (CED) monitors implementation of the International Convention around the world. For more information on international law as it relates to enforced disappearances and the work of the OHCHR’s Working Group on Enforced or Involuntary Disappearances – which works in parallel with the CED – view the body’s official Fact Sheet here. The two OHCHR bodies have also issued a joint statement to mark the 2018 observance of the International Day. In the OHCHR-produced video above, AIPR Global Raphael Lemkin Seminar alumna Angkhana Neelapaijit speaks about her experience with the abduction of her husband, human rights defender and lawyer Somchai Neelapaijit. On this International Day of the Victims of Enforced Disappearances, the Auschwitz Institute joins with the international community in solidarity with the victims of these horrific crimes. Furthermore, AIPR reaffirms its commitment to the vital work of preventing enforced disappearances, ending impunity, and achieving justice for victims and their families. 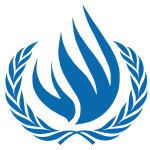 In this spirit, the Auschwitz Institute urges all United Nations Member States to ratify the International Convention for the Protection of All Persons from Enforced Disappearances and implement the provisions contained within.